Rosita #3 is a two bedroom, two bath condo that can sleep up to six. This deluxe townhouse-style unit is three story with lots of front glass to overlook the Continental Divide. It is three miles from world-class skiing and is located on the complimentary shuttle bus route. This is a non-smoking unit and No pets allowed. Hideaway Village is a sparsely populated condo association with only 110 units on 33 acres. The building is backed up to a forest of tall pines. The kitchen is fully-equipped including a microwave. There are private wood decks on the second and third floors. Included is a large moss-rock fireplace with new gas logs. There are two queen beds and a queen-size sofabed pullout in the living room couch. The main bedding is 'world class' Tempur-Pedic mattresses. Nightly rates from $85 to $250. Completely remodeled in 2005. At the clubhouse is an indoor pool with hot-tub, and coin-operated laundry facility. The owner provides a free locker at the ski area that will hold four sets of skis, boots, and poles. Thank you for accommodating us in the blizzard. We were warm and safe and very comfortable. The condo is beautiful and has everything you could possibly need. We were so grateful for the ability to stay an extra night when the blizzard hit. 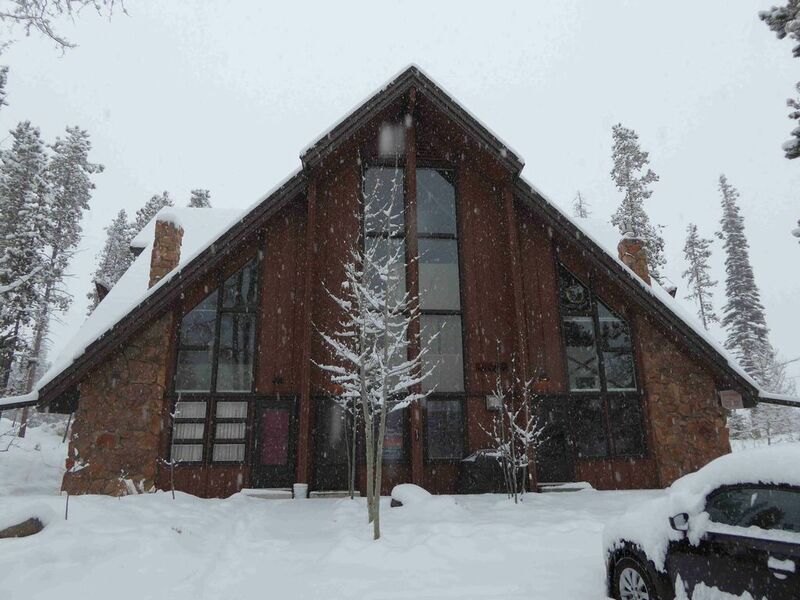 The condo is close to Winter Park ski resort and the town proper. The stay was awesome, and the condo was very comfortable. Communication with the owner Tim was consistent and correct. I would highly recommend this VRBO, and Winter Park Colorado! Very clean and comfortable, including great beds and everything you might wish for. Good location - a short drive or long walk to restaurants in down town Winter Park. Thought this house was just as advertised. No surprises when it came to expectations. The packet that came with renting this property came with all the info that was needed. Overall very satisfied with staying here. Getting to the lift was a pain only because we tried to time the lyft bus and missed by about 2 mins. (Our fault). The other bummer is that the hot tub was not in operation while we were there that would have been very relaxing after a couple of days of skiing. Tim did offer to pay for the recreation center in town though which houses the pool and hot tub. All in all feel very good about choosing this rental. If we return in the future I will look for this house again. The house had everything we needed to make our stay comfortable. We also loved that it’s in a quiet area with space for the kids to play, yet convenient to everything. Our sledded, built a snowman, had a snowball fight right here on the property. It’s also a short walk to the lift shuttle which is awesome. We would definitely stay here again. The only thing we wish we had was a humidifier. We aren’t used to the dry air! Also the home owner was very helpful and answered any questions very quickly. Rosita is located in the Town of Winter Park and is only 3 miles to the Winter Park and Mary Jane Ski Areas that provide all levels of world-class snow skiing. It has the largest mapped mountain-bike trails in the U. S. It is in close proximity to Grand Lake and summer boating and the very popular Rocky Mountain National Forest. There are extensive marked mountain hiking trails and numerous professional level golf courses.